Dr. Eric Wen, a UH West Oʻahu Assistant Professor of Accounting, is the recipient of a 2018 WileyPLUS Nexty Award in the Most Innovative Course Award category that recognizes creation of a course demonstrating innovative classroom approaches. “Eric’s flipped classroom model along with his unique mix of interactive activities and pre-lecture assignments stood out in this category,” according to WileyPLUS , which noted Wen was incorporating emerging technology in both his course content and design. Wen was one of seven winners in the inaugural Nexty Awards, an annual award from John Wiley & Sons that recognize WileyPLUS customers for exceptional use of digital course resources and superior course design. WileyPLUS is an online teaching and learning platform helps instructors automate homework and practice and tailor instruction based on student learning trends. Award submissions were evaluated for overall course design, including inventive methods of using WileyPLUS, the variety and depth of technology utilized, assessment practices, student communication policies and approaches to pedagogy. 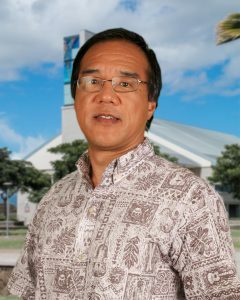 Tagged accounting, business administration, teaching award, The University of Hawaiʻi-West Oʻahu, www. Bookmark the permalink.